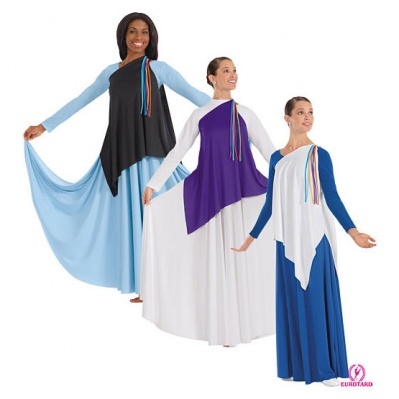 Shown with Eurotard Liturgical Dress (SKU #13524) and Eurotard High Neck Liturgical Dress (SKU #13847). For group orders, to ensure perfect color match, items are "made to order". Please note your required delivery date in the Special Requests / Customer Comments field at checkout. We will contact you immediately to confirm that your order will be delivered in time. Adult sizes S/M, L/XL, PLUS and Child sizes S/M and L/XL.